This blouse is another thrift find from last Friday. I love the subtle design and the silky smooth feeling. I didn't want to overdue it with the accessories, so I wore these draped fringe earrings I purchased at F21 last week. I really love the antique look of them and the mint stones! I've been seriously spoiled this week, I've gone out to frozen yogurt 3 times! My sister invited me after taking these outfit pictures and who in their right mind would say no to frozen yogurt? I always get the plain tart and mix blackberries, strawberries, and mango in it. It's truly an unbeatable mix. What's your favorite frozen yogurt mix? 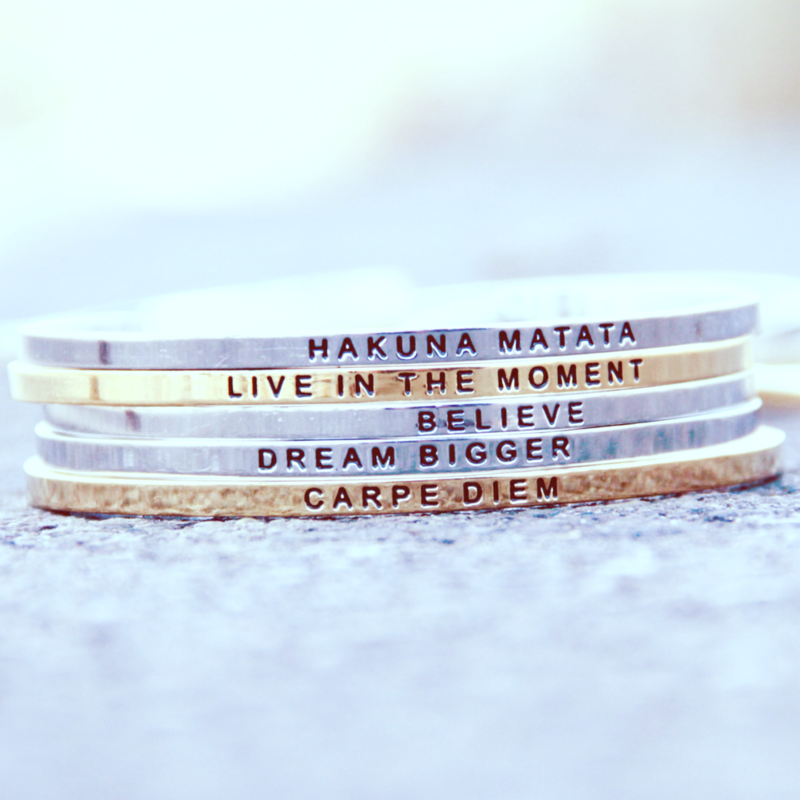 PS: Don't forget to enter the Eternal Optimist Giveaway! For some reason those earrings make me think of a bollywood movie. Very cute! Ok, I NEED to go thrifting with you sometime. How do you do it?? I agree, one should never say no to frozen yogurt. My favorite is peanut butter fudge, which is super decadent but I love it. 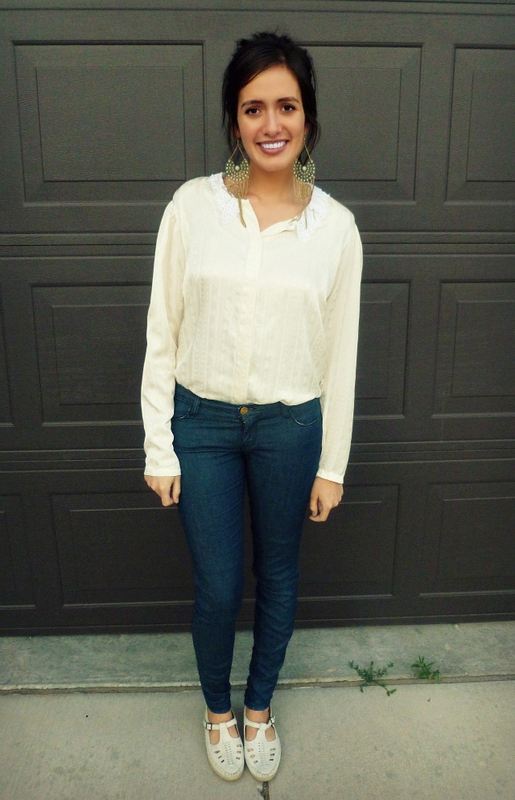 I love the white top with bold earrings, it looks great and not over the top. mmm, i should try that combo sometime! lately i've been getting a white chocolate combined with a pomegranate tart. sometimes i sprinkle in some granola, but the tart combined with the soft, smooth sweet is perfect on its own. REALLY?! i guessed right?! ahhhhhhhhhh. yesssssss. i feel like part of a kool kidz klub knowing that little bit of information. yes.yes.yes. and i really hope i get a ginger baby! maybe not one with a goatee, but lots of red hair!! you're so pretty and what a lovely, casual outfit! love this outfit! this would be my perfect go to outfit. Love that shirt! So beautiful in its simplicity! I love frozen yogurt too! Plain (tart) with strawberries and cheesecake bites. There is a place by me that does red velvet flavor, that is also amazing! Love this outfit, especially the shoes, they're adorable! thanks for the lovely comment over at my blog! You look adorable (as always), and I love those earrings!! I love big earrings!!! And yours are fantastic!!! 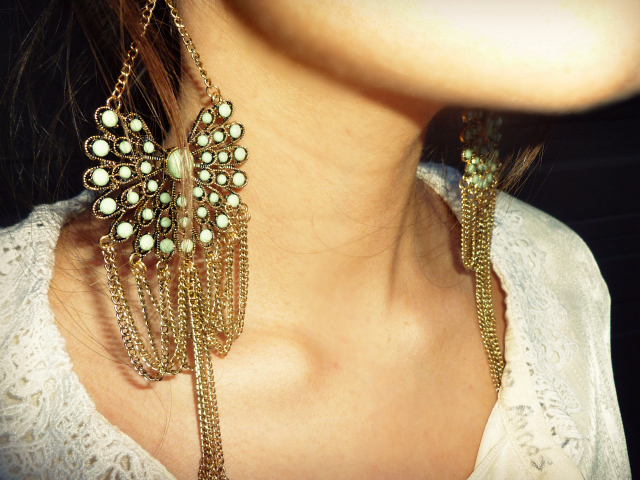 Love this outfitt, the earings are just gorgeous, love them! Cute look! Loving your shoes and earrings!! Your earrings are so pretty. If I had my ears pierced, this is the kind of earrings I would rock. Great find! The simplicity of the outfit really makes all the small details pop out! I love how the earrings add a little something to a simple and beautiful outfit. Great! I love your outfit! 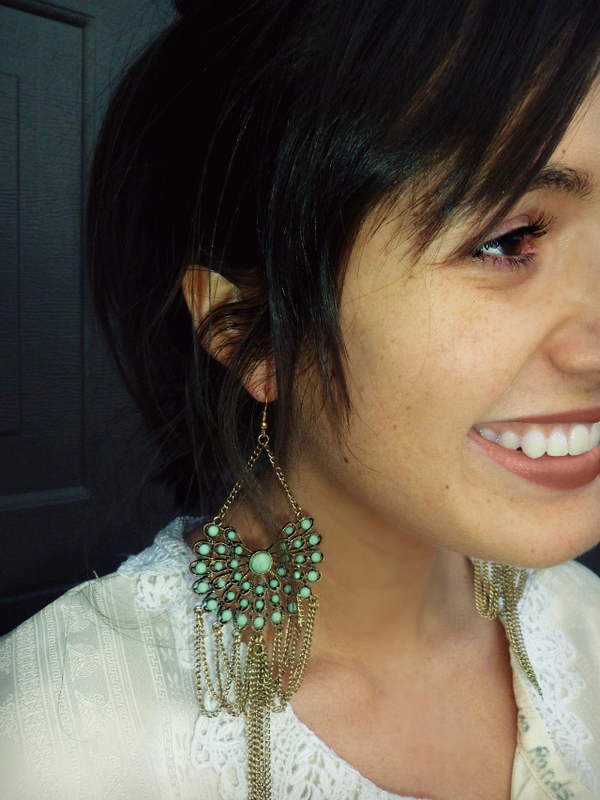 So cute, and the earrings are amazing=) Thanks for stopping by my blog yesterday and leaving a note! Wow, those earrings look stunning on you!! I also love your shoes! And thank you so much for the sweet comment on my blog! I am your newest follower! You are so close to 1000!!! Really cute outfit and you are so beautiful! love the shoes and the earings!nice outfit! gaaaah! your shoes. you are just the cutest. You look stunning... as always!! Very cute casual outfit! Love it :) And I like getting mango and watermelon frozen yogurt together. Yum. just found your blog! you are so cute and i love that top! what a great find. and the shoes are perfect. Gosh, i love this outfit! So simple but so elegant and beautiful. Also, i adore your earrings! you are always the best <3 i love your style so much!